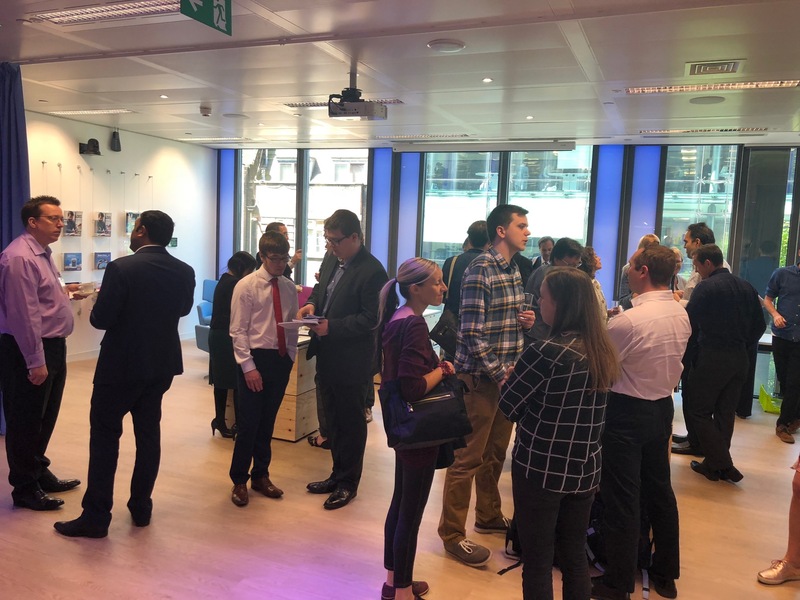 17th May 2018 was Global Accessibility Awareness Day (GAAD) and the fourth year Atos has run an event to mark the day – with events in North America, the Netherlands, Spain and France running simultaneously, including in our new central London UK headquarters. Speakers for the day delivered fascinating accounts of their experiences, covering a broad range of topics, including from Neil Milliken, our Head of Accessibility and Digital Inclusion – and a champion of diversity and inclusion across various platforms on a daily basis. It was fantastic to see so many people with enthusiasm and knowledge connect. When speaking at a diversity and inclusion conference recently, a question was raised on how you get your company’s board to buy into diversity and particularly disability. The Atos UK & Ireland leadership team believes that disability must be talked about seriously and openly at the highest level. 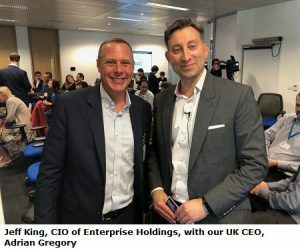 This was highlighted by a photo I presented of our UK&I CEO Adrian Gregory signing our diversity pledge – it became clear from the questioner’s reaction that buy-in from the top wasn’t happening in every organisation. This is why events like GAAD are so important, to focus on the inequalities in the workplace and wider society. Adrian Gregory opened proceedings advocating positive change and inclusiveness. He was followed by Dan Brooke, Channel 4’s Chief Marketing and Communications Officer and Diversity Champion, speaking about the Paralympics and the employment of disabled people in the media. Dan also touched on the issue of their promotional material which showed people with physical disabilities, and the challenges they face conveying mental disabilities on television. This was followed by Caroline Casey, an inspiring speaker who has been blind since childhood. Caroline is leading a campaign to get 500 top CEOs at the main stage in Davos to back disability as a global business imperative. Her approach is innovative and is due to the fact that, although diagnosed blind as a child, her parents decided not to tell her and brought her up as a normal sighted child, with Caroline starting her career unaware she was legally blind. In the afternoon, Nancy Doyle spoke about her show “Employable Me”, which brought up the issues of hidden disabilities, particularly autism. Nancy also addressed the barriers of standard recruitment processes, something Ola Abu Alghaib had also spoken of earlier in the day. This included questions and issues such as “Should I say I am disabled during the interview process?” and the anxiety felt by people with autism trying to navigate the elaborate social rituals that interviews consist of. The next day I discussed the sessions with Neil and Denise Reed Lamoreaux, our Global Chief Diversity Officer, who had been across all the events in all countries watching or contributing, as we streamed them live. Sometimes people ask if Atos is serious about inclusion. Looking back at our GAAD events I can say: yes, we really are. Find out more about Atos Adapt.